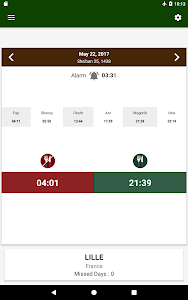 Ramadan 2018 / 1439 is an application dedicated to Muslim people. 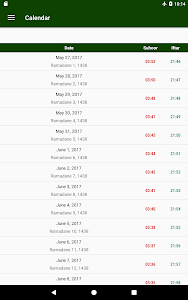 Everywhere and any time, this ramadan's calendar for Android is the best way to know Imsak and iftar's times. Clean, simple and reliable. 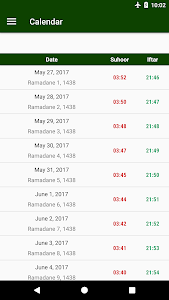 -	Consult the current date of the month and the 5 islamic prayer times, "imsak" and "iftar" for more than 251 countries. 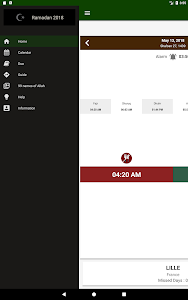 -	Add a location using manually selected city. The internal database containing more than 251 countries and 6 000 000 cities. 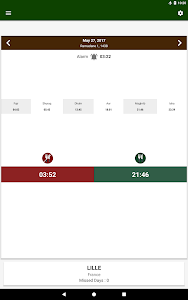 Very useful during your travel. 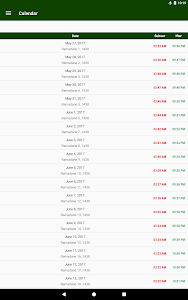 -	Auto detection of your city. 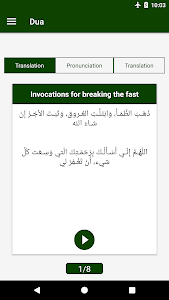 -	Notifications for Zakat Al Fitr. 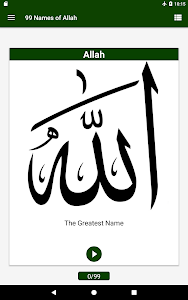 -	Activate automatic notifications to never miss a prayer again. 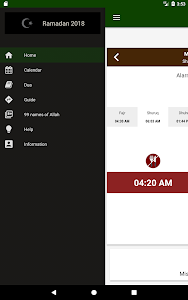 Alarm options can be set to start selected minutes before Iftar/Sehar. 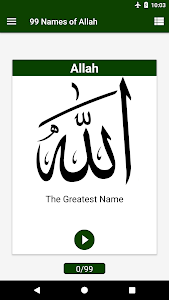 -	Remember supplications and salutations (Hadith and Dua) that are highly recommended to be recited during the Month of Ramadan including the Nights of Power (Laylat al-Qadr). 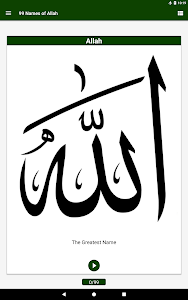 Ramadan 2018’s team understands the importance of prayers during this Holy month. 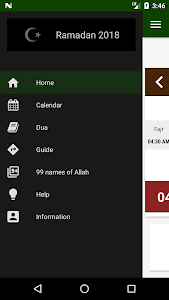 We bring you a useful application that will keep you updated on the correct prayer timings throughout the month. 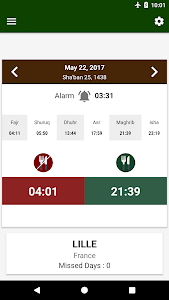 Download and recommend this timetable 2018 to your friends and family so that they too have everything they need during the Holy month at their fingertips.